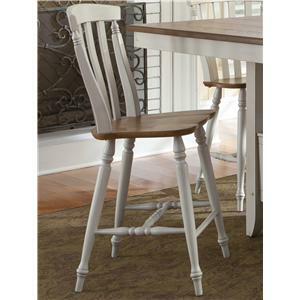 The suncatcher counter height dining chair is truly unique, constructed from scrolled metal, stained wood, tinted glass, and upholstered in a plush, pale pink fabric. 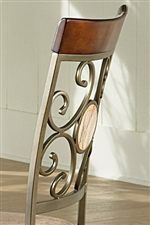 Semi-circle stretchers at the chair base mimic the scroll detailing of the chair back and give balance to the overall design. Feature these chairs in a room with plenty of natural light and note how the suncatcher glass inserts catch and refract the light. 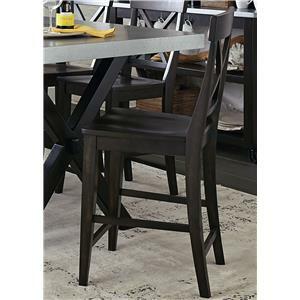 The Thompson Metal and Glass Suncatcher Counter Height Dining Chair with Upholstered Seat by Steve Silver at Van Hill Furniture in the Grand Rapids, Holland, Zeeland area. Product availability may vary. Contact us for the most current availability on this product. 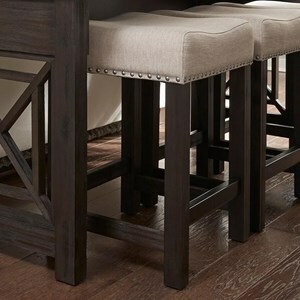 The Thompson Casual Dining Collection is an intriguing blend of design styles. 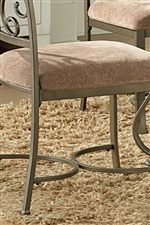 Constructed primarily from whimsically scrolled metal, this collection features warm wooden accents and pale pink splashes of color. 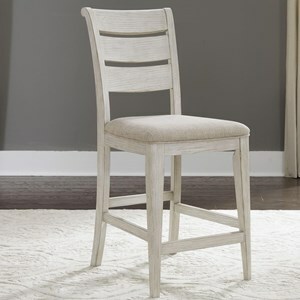 The suncatcher chairs are so-called due to tinted glass inserts in the chair backs which catch and refract the light. The chairs also feature semi-circle stretchers, a continuation of the curvilinear motif woven throughout the collection. 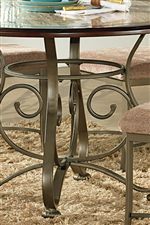 A multi-material, round table top table with a scrolled metal pedestal base completes the set. This collection also includes a matching wine rack. 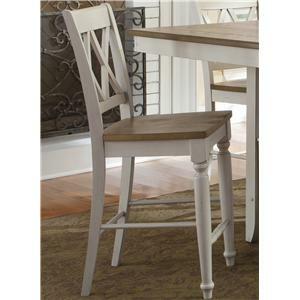 Feature this set in your kitchen or casual dining room for a cozy, contemporary cottage ambiance. 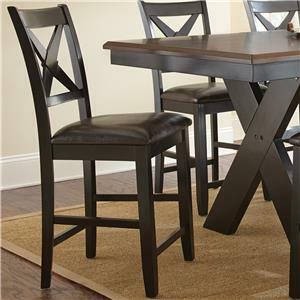 This collection is available in both standard and counter dining heights. 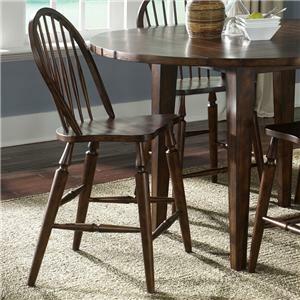 The Thompson collection is a great option if you are looking for Traditional furniture in the Grand Rapids, Holland, Zeeland area. 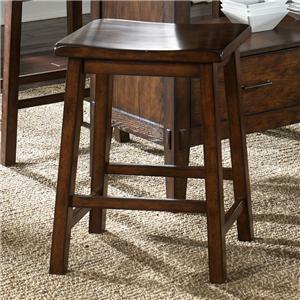 Browse other items in the Thompson collection from Van Hill Furniture in the Grand Rapids, Holland, Zeeland area.